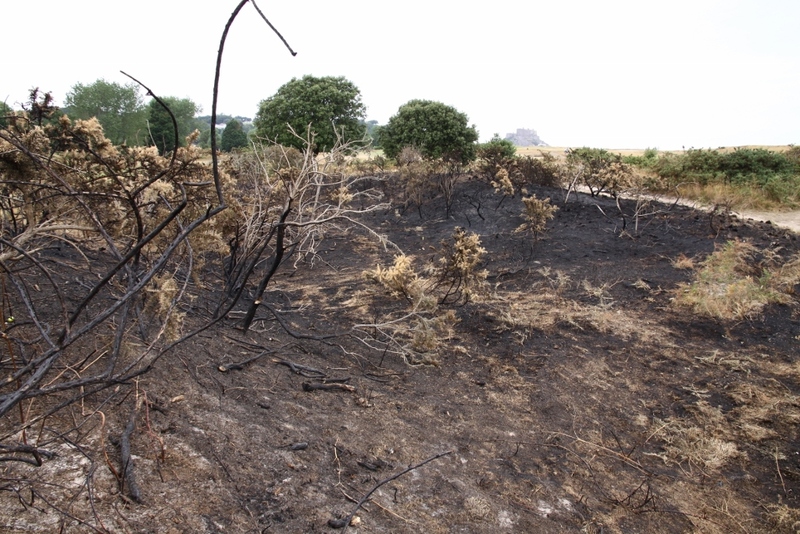 On Monday we reported on the fire at Grouville Golf Course and the devastating impact it would have had on local wildlife. 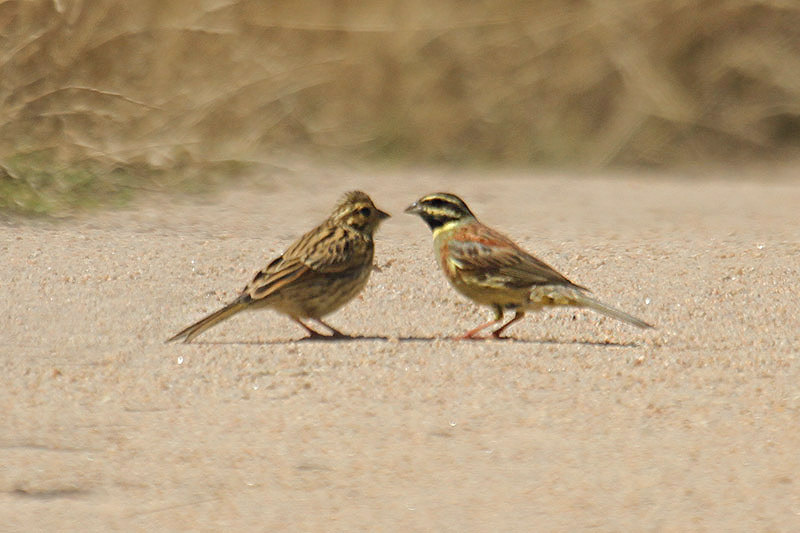 The focus of the report was Jersey’s only known pair of cirl buntings and what effects the fire in their breeding territory may have had. 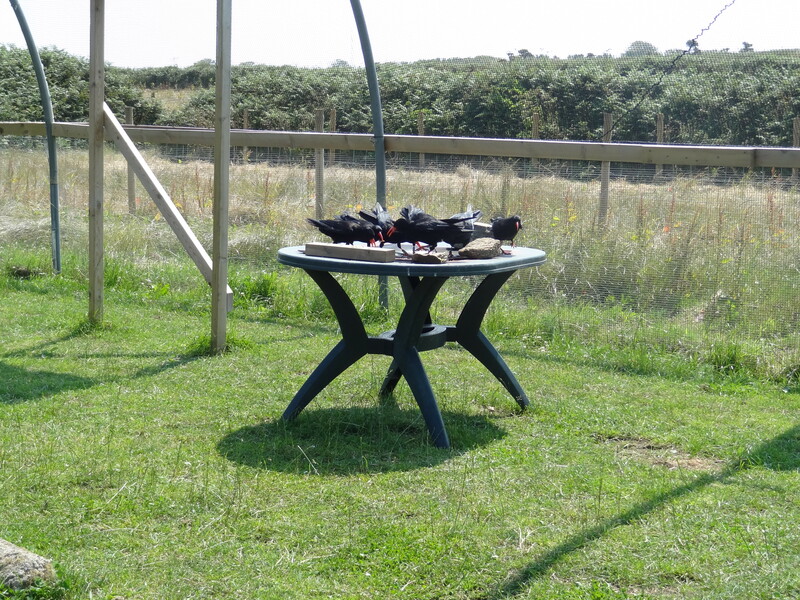 After the fire the birds were nowhere to be seen and there was justifiably a lot of concern for their wellbeing. Well, today we found out what happened to them! 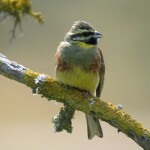 Almost exactly a year to the day after the first Jersey-bred cirl buntings of recent years were found, and rather late in the year again, what appears undoubtedly to be a chick was seen with its father and photographed by Mick Dryden. 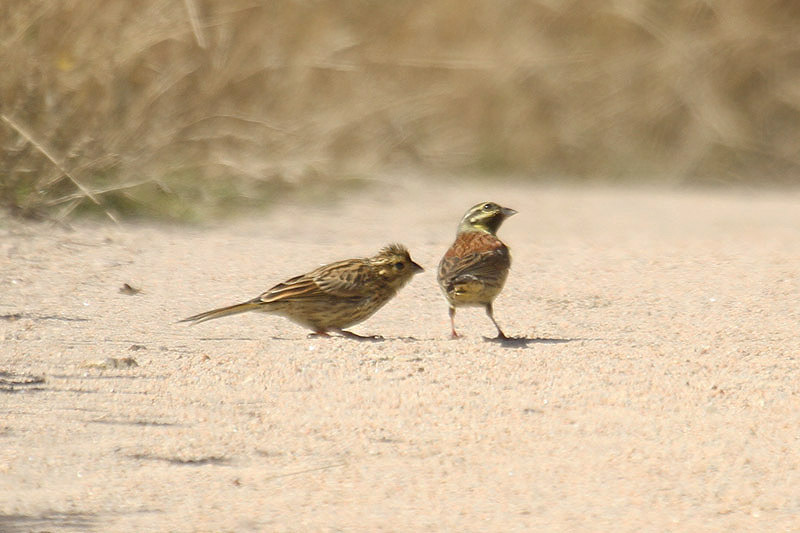 The female bunting was seen nearby but we don’t know yet whether other chicks were around – visit Jersey Birds for updates. 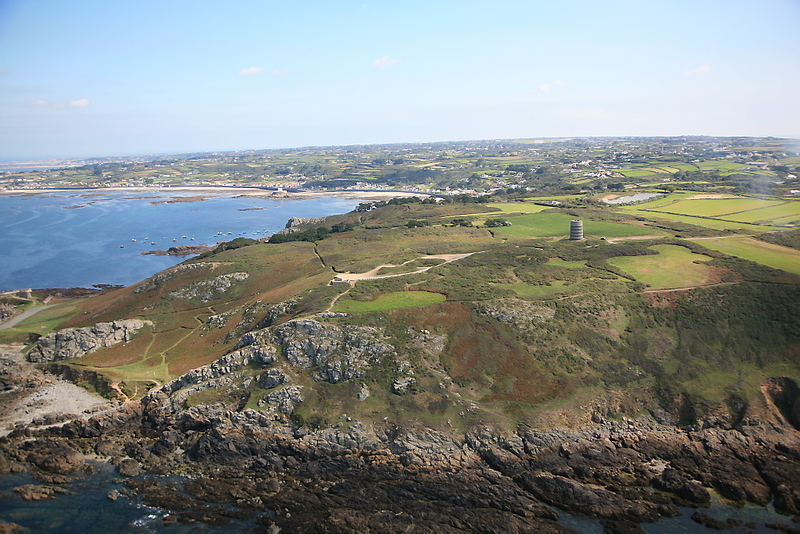 The organisers of 2013 Inter-Island Environment Meeting cordially invite you to Guernsey. 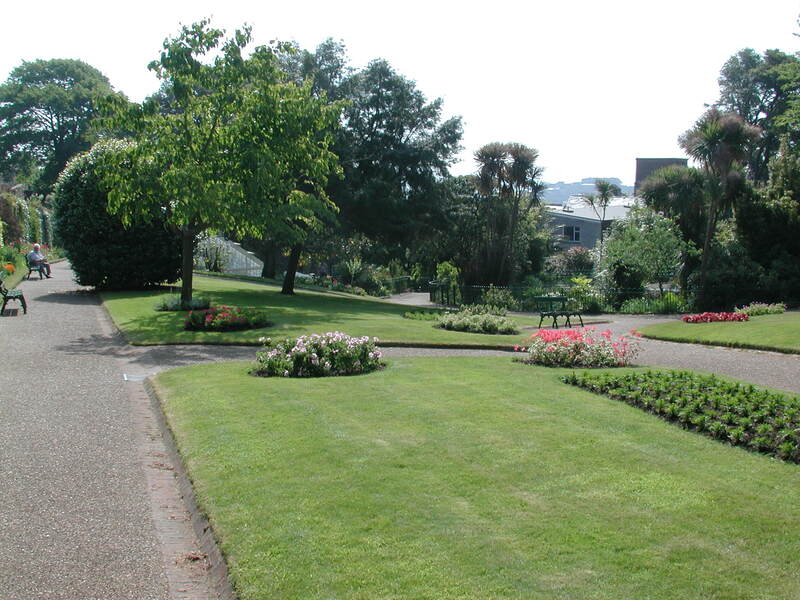 This year’s event will be hosted by La Société Guernesiase at the Frossard Lecture Theatre in Candie Gardens on 17-18th October. There will also be an optional field trip planned for the Saturday (19th October). At this stage the organisers would like to have some idea of numbers of delegates, topics and numbers of speakers, so if you are interested in attending the meeting or speaking at the meeting please contact the organisers by 31st July (e-mail address at bottom of page). Talks/presentations are invited from anyone. At this stage there is no focus on specific topics but they’d like to develop themes along the lines of “Strategies & Cooperation for Action” and “Engaging with the Community to promote Biodiversity”. Please do not be put off by these titles – a mix of topics from terrestrial to marine as well as general and from as broad a spectrum of the “Environment Community” as possible will be welcome. • There will be an optional field trip on Saturday 10am – 1pm. Sites to be confirmed. Optional lunch out afterwards. A small charge will be levied on all delegates to cover refreshments and lunches for Thursday and Friday (please let the organisers know in advance of any special dietary requirements). The charge has yet to be decided and will depend on the level of any sponsorship – it is anticipated that a fee of no more than £25 per person will be collected at registration. The event may be limited to a maximum of 70 delegates. Whilst the organisers are not expecting a “sell out” they reserve the right to turn down bookings to encourage broad representation from the region and beyond (e.g. the Isle of Man and UK etc.). They look forward to hearing from you and to sharing what they hope will be an enjoyable and thought-provoking Inter-Island Environment Meeting! Please e-mail the Guernsey Biological Records Centre at gsybiorec@cwgsy.net for more information and to book a place and what will undoubtedly be an exciting event. 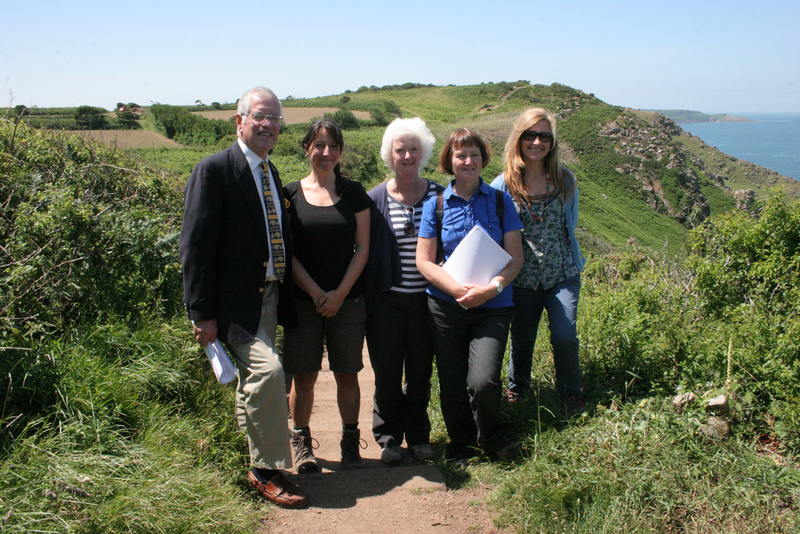 Earlier this month BOTE’s Trial Farmland Scheme was entered into Insurance Corporation of the Channel Islands’ 2013 Conservation Awards and, visited by the judging panel, shortlisted for this year’s award. The judges’ site visit was organized and BOTE Project Officer, Cristina Sellarés, was able to show the judges the agricultural fields that are being planted with bird conservation crops once the potatoes are harvested. Cris also explained how these important crops will help our local birds survive the winter, whilst not costing the farmer any extra money thanks to the scheme sponsors. 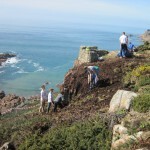 Whilst we are sure that this fine example of habitat restoration project that BOTE is promoting within the local community got the judges’ interest, the main prize was awarded to a marine conservation project by another local organization, Jersey Seasearch, which aims to give young people the opportunity to proactively take part in the protection of our local waters. Congratulations are in order, so well done Jersey Seasearch! And as for us, we’ll carry on with our work, happy in the knowledge that from this humble scheme we are doing our best for the local birds, the coastal habitats and the Island’s community. 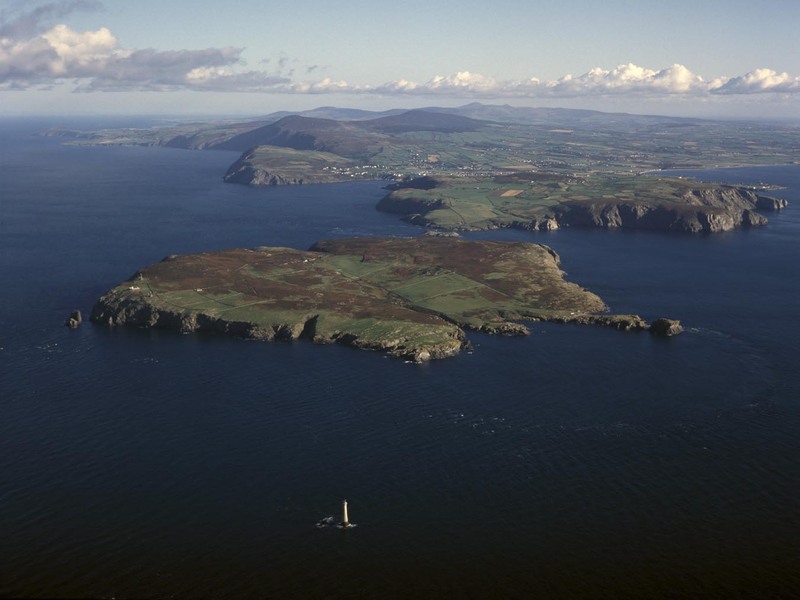 The Calf of Man is a 250ha island lying only 500m to the south of the Isle of Man (read more here). It was once home to thousands of nesting Manx shearwaters, the burrowing seabirds that got their common name from these islands. However, brown rats (also known locally as ‘longtails’) landed on the island from a shipwreck in the late 1700s. The rats proceeded to wipe out the huge Manx shearwater colony, and since then only a few of these iconic birds have managed to breed on the Calf. 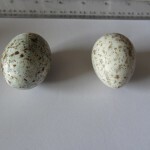 During the autumn and winter of 2012-2013, a team from Manx National Heritage, the Manx Wildlife Trust, Manx Birdlife, the Isle of Man Department of Environment, Food and Agriculture, the Animal Health and Veterinary Laboratories Agency (AHVLA) and the Royal Society for the Protection of Birds worked to eliminate rats from the Calf of Man and make the island safer for all nesting seabirds and encourage the resurgence of the shearwater colony. 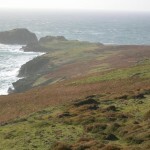 The small island is dominated by maritime heath, bracken/bluebell and grassland both semi-improved and maritime. Small patches of wet flushes, marshy grassland and rock outcrops all go to form a diverse landscape. 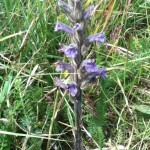 Over 340 species of plant have been recorded. 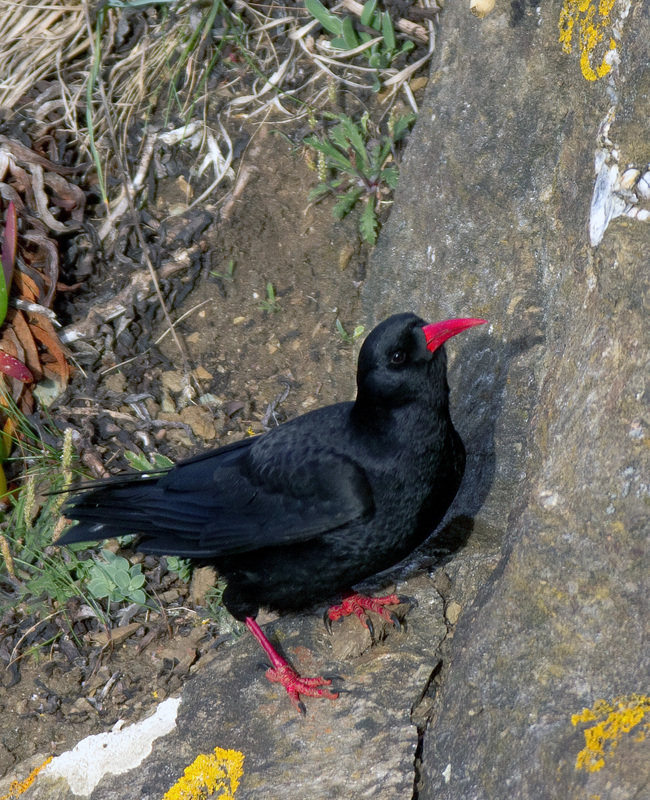 Red-billed choughs breed on the sea cliffs and Atlantic puffin once bred on the island but their decline and eventual disappearance are likely to be a result of the rats’ arrival. Rats will eat the eggs and chicks of almost all nesting seabirds that they can get to and have been known to kill the adult birds too. There is evidence from all over the world that where rats are present on seabird islands, the seabirds suffer large losses from rat predation. However, not all is lost. There are increasing numbers of programmes to remove rats from seabird islands and there is dramatic evidence of their success even in local waters. 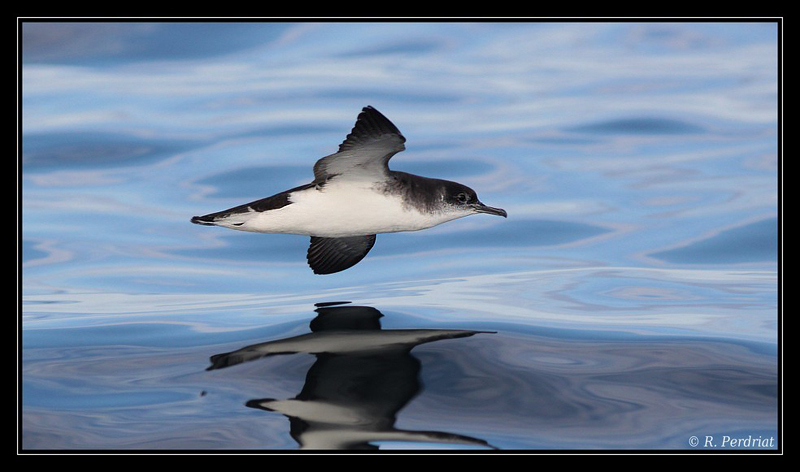 Following a rat eradication programme on Lundy Island in the Bristol Channel between 2002 and 2004, monitoring of burrows in 2008 showed an estimated 1,081 pairs of Manx shearwater, an increase of 250% in numbers since 2001. The Calf project team expects that seabird breeding productivity on the island will start to recover immediately following the eradication. An anti-coagulant bait block, a “first generation anti-coagulant” called Coumatetralyl, was used to kill the rats. This acts by blocking the synthesis of vitamin K and causing internal haemorrhage. The bait was administered in boxes or pipe tunnels to which rats could gain access. 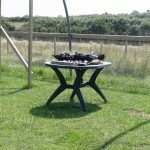 Simple blocking devices were needed to discourage entry by young rabbits and birds such as crows. Poisoned rats typically die below ground in burrows and are unlikely to be eaten by predators such as ravens and gulls. 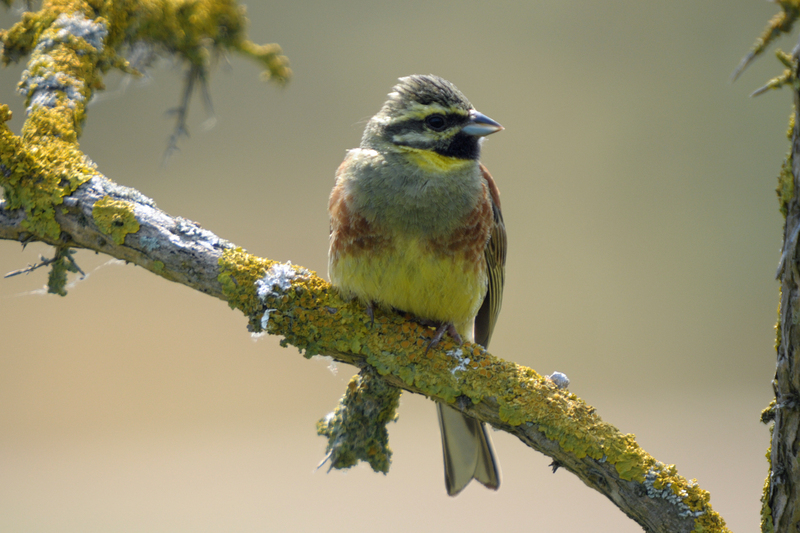 Although secondary poisoning of non-target mammals or birds could not be ruled out, the use of Coumatetralyl was particularly appropriate for environmentally sensitive applications due to its low persistence and low toxicity to birds. A risk assessment was completed for key non-target species on the island particularly for the wood mouse which, although not recorded on the Calf for some time, may still survive. Live traps were maintained in the hope of catching mice for transferral to a safe place and return following the eradication operation. However, no wood mice were found, though the project team suspect that some have survived the rodenticide deployment. Pigmy shrews, an insectivore unlikely to be attracted to the poison bait and Loaghtan sheep were not affected by the poison through careful management of the bait. To the surprise of the team, some young rabbits seemed to be attracted to the chocolate wax blocks used as non-toxic monitoring bait after the eradication phase. Although also an invasive mammal, rabbits are desirable on the Calf as they provide burrows which shearwaters and (hopefully) puffins can use. Together with Loaghtan sheep, they help keep the grass short which benefits other wildlife such as choughs and low-growing herbaceous plants. How do you know if eradication has worked? Following the main eradication phase, chocolate wax-blocks were placed around the Calf, particularly to the coastal fringes where any re-infestation might occur. It will be necessary to monitor these points into the foreseeable future and certainly for the first two years after eradication in case there are any remaining rats not dealt with during the intensive baiting phase. Is there a risk of re-invasion? 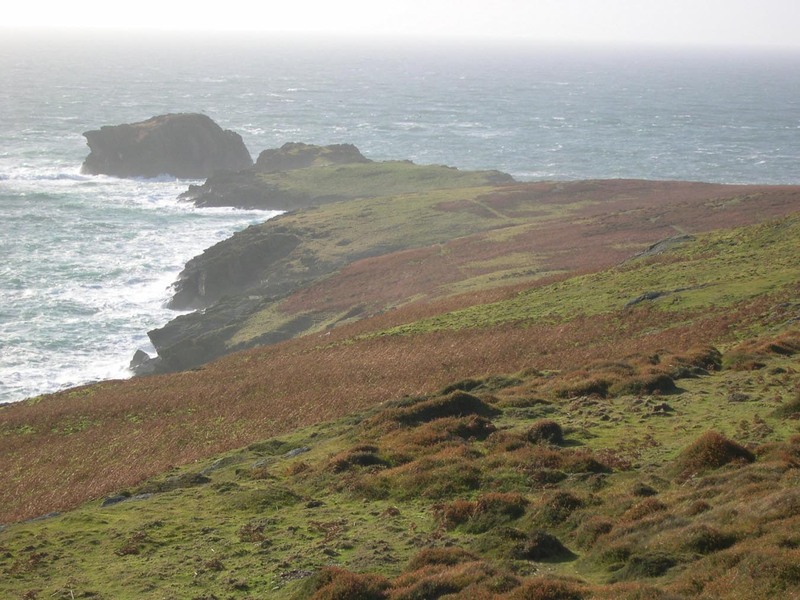 The project team cannot be sure that rats will not re-colonise the Calf of Man, but they can minimise the risk of a new invasion. Quarantine for all boats and ships that plan to land on the island will need to be enforced and it is hoped that all boat owners who like to frequent the Calf will co-operate fully with all requirements. Unauthorised landings and shipwrecks will remain a threat but much less so than in the past because of more hygienic conditions on board and tighter controls on landing. Since rats are able to swim, it is conceivable that they could reach the Calf across the Sound via Kitterland but it is anticipated that the generally strong tidal conditions may reduce this risk. Monitoring will continue on Kitterland periodically to detect any build up of rat numbers and allow a fast response to eliminate them. At the time of writing the project team remain cautiously optimistic, despite one suspicious incidence of rat sign which has been dealt with by means of localised intensive baiting. 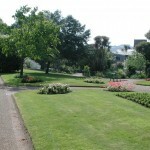 Do similar situations exist in the Channel Islands? puffins. There are plenty of rats on our north coast and while it would be much harder to remove them from areas like Tête des Plémont it is not necessarily impossible. 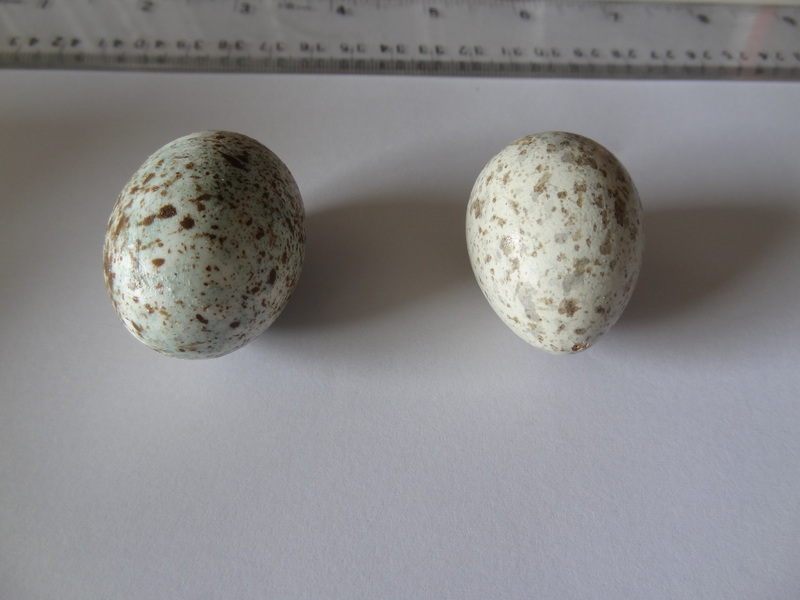 But it would take hard work and a long term commitment and, who knows, maybe Jersey’s puffins could once again be safe and shearwaters once again nest here. 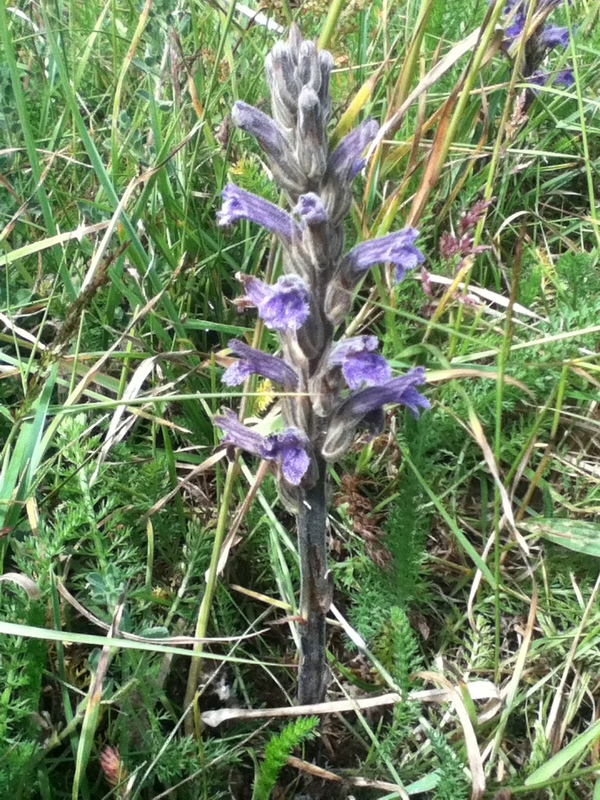 Sincere thanks to Kate Hawkins, Curator: Natural History, Manx National Heritage for helping compile this report. Cutting wet meadows in the way that hay meadows were traditionally managed is the best way to improve the diversity of plants found there. This task will involve raking the cut hay into piles at Le Petit Pré SSI. Meet at the playing field car park opposite Trinity School and bring rakes and gloves. Bracken management at Noirmont SSI. An old favourite! 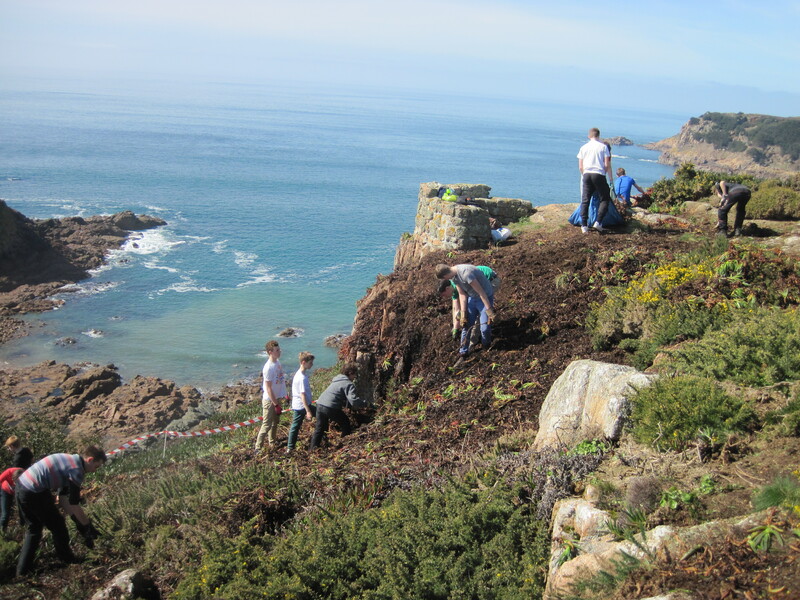 The smothering layer of bracken on the coastal slopes will be raked away in order to encourage the native flora to come back. 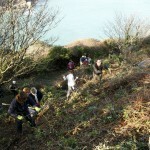 Meet at the middle car park at Noirmont Common armed with rakes and gloves. Don’t forget to bring sunscreen and/or waterproofs! Cold drinks and biscuits will be provided. JCV very much hope to see you at one, or at all of these events. The JCV winter tasks will start again in October as usual and the itinerary will be posted later in the year. Check here for details or keep visiting Birds On The Edge. 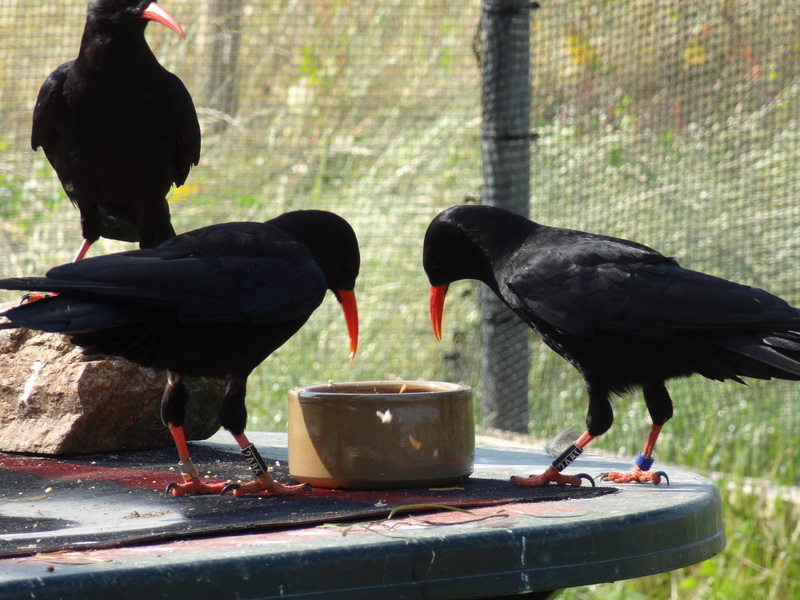 As we wait patiently for the trial release, and our seven choughs get ready in their north coast aviary, one chough has been seen out and about in Jersey recently. 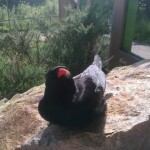 Arthur the Chough recently spent some quality time on our coasts. First he looked in on the 2013 Itex walk on 22nd June. 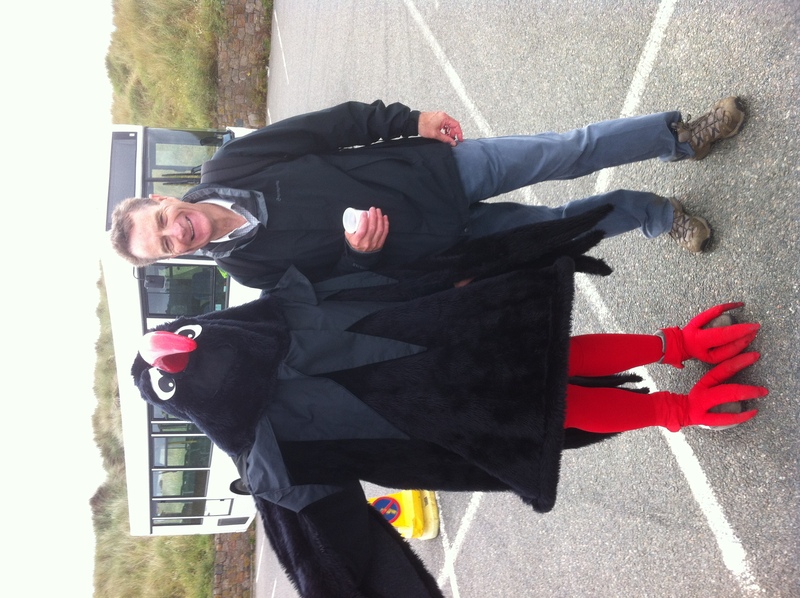 Not a natural walker, Arthur opted for the shorter Lieutenant-Governor’s Walk (a mere 13 miles) encouraging walkers from near Devil’s Hole before flying down to the end of this walk at La Braye in St Ouen’s Bay. 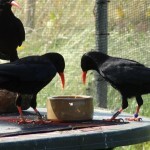 This component of the annual walk took walkers, and indeed Arthur, through chough habitat and very close to the aviary. I hope the walkers enjoyed the stunning coastline and considered how it may be further enhanced in the future thanks to Birds On The Edge. The weather, sadly, early in the morning, was actually not too conducive to enjoying the countryside but Arthur was able to cheer up the hardy and even met the Lieutenant-Governor, General Sir John McColl. 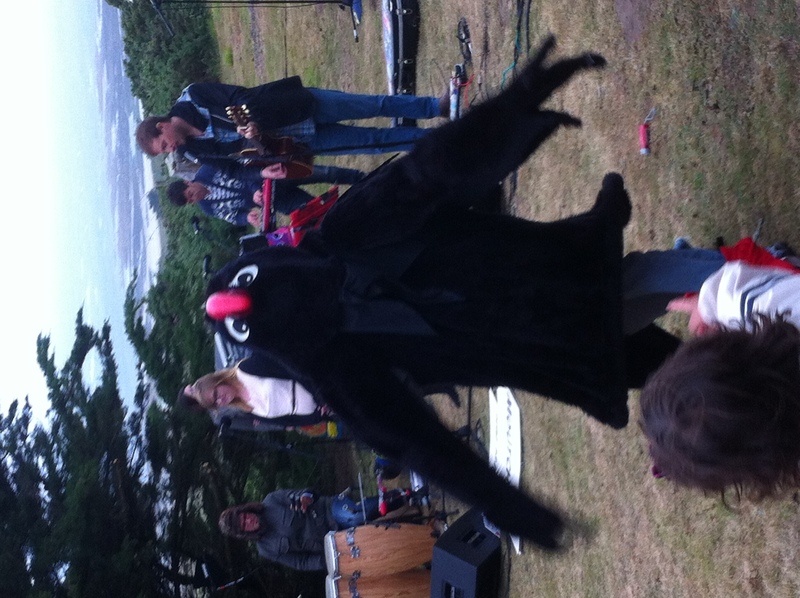 Arthur made a further guest appearance at the National Trust’s Sunset Concerts on 28th June. 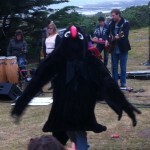 On this lovely evening, Arthur helped out during the performance by our friends Badlabecques. 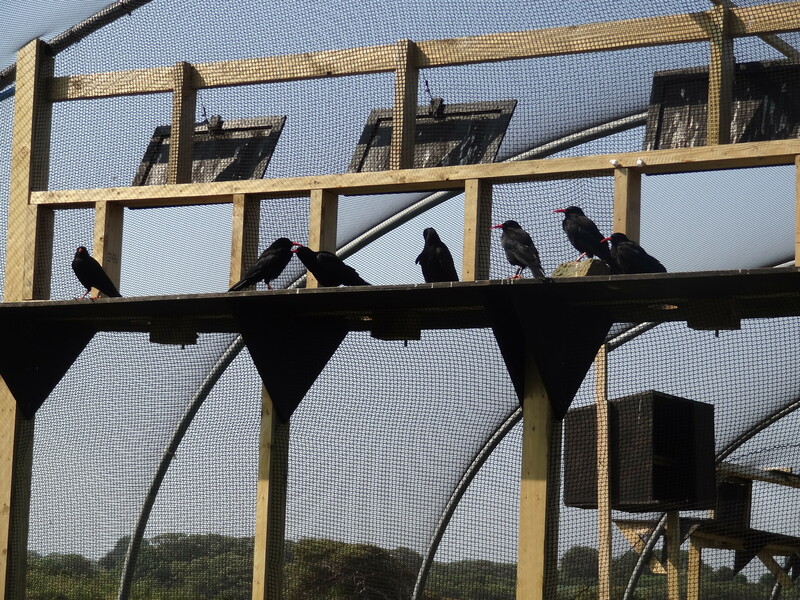 As last year’s concert raised the money needed for the release aviary it was only fair that Arthur should be on hand to thank everyone and spread the message about Birds On The Edge and his friends up at Sorel. Arthur was doubly proud to be there to hear Badlabecques sing the project’s ‘own’ song “Ma Bouaîs’sie” for the first time in public. Arthur will be visiting the Island’s primary schools during the year, he has visited four so far and will be at another this week. He will be in the Wildlife Park for Durrell Days (13-14 July) and is also headlining at Jersey Live this year (31st August-1st September). 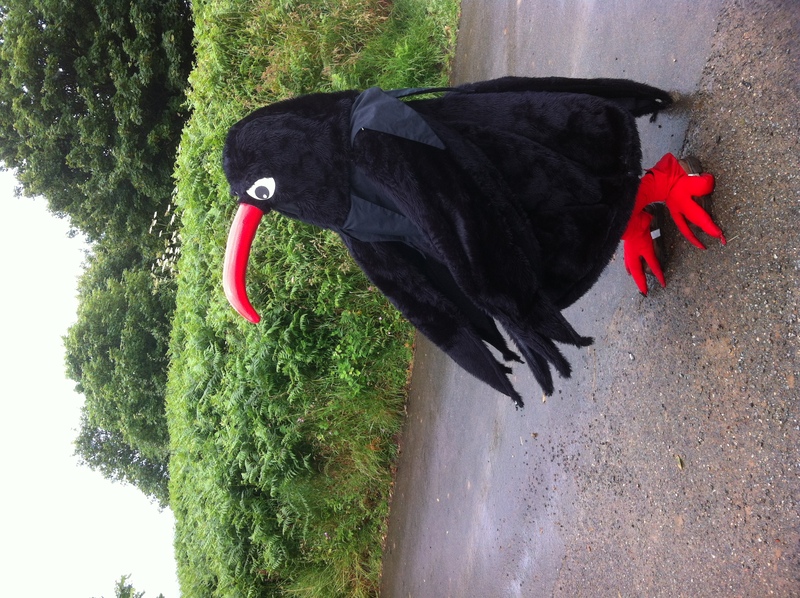 Look out for Arthur, but please don’t confuse him with other corvids (look here for hints), and carry some cranefly larvae as a handful might make him a friend for life! He now has an egg to look after and carries a lunch box containing ants! 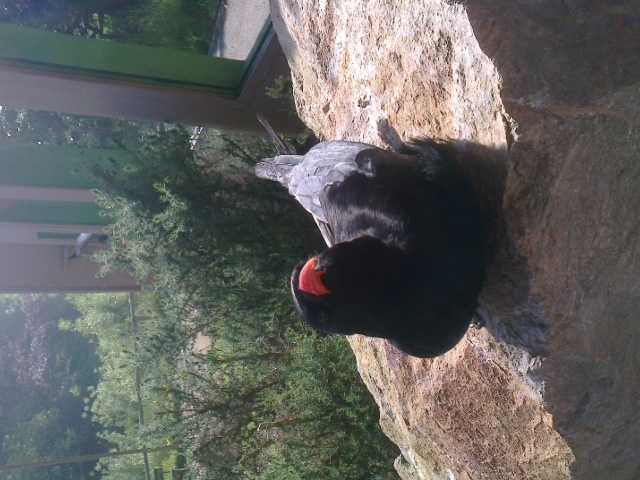 “After reporting a few weeks ago that the male of the Lizard pair of choughs had gone, we are sad to say that his mate has also disappeared. For just over a week the female continued to feed her two chicks with the help of the ‘usurper’ male, but she then vanished and we can only surmise she pined for her lost mate and died. It is not unheard of for this to happen where there has been such a strong and long bond between two birds. She safely fledged 44 chicks over her lifetime, and some of those birds have gone on to raise families of their own. 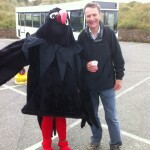 Quite an achievement in the bird world and her place in Cornish history alongside her mate is assured. Updated 3rd July. 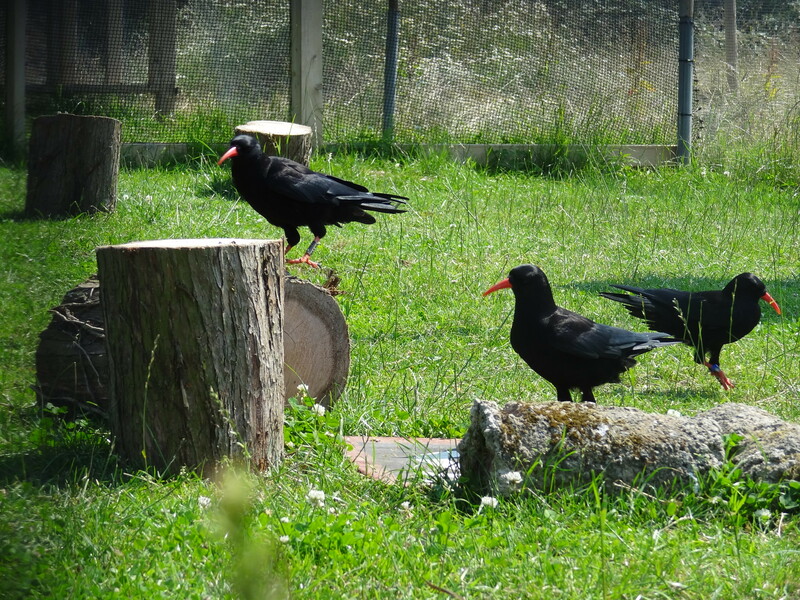 From Cornish Choughs: “After a bewildering breeding season on Southerly Point with the original pioneering pair vanishing, we are pleased to announce their two chicks have fledged! 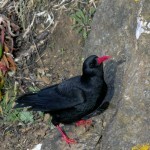 This has been made possible by the other male chough who continued to feed the young. Amazing! 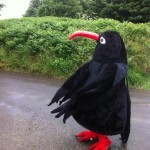 Chough watcher Paul Gillard made a video of one of the new chough families in West Cornwall”.